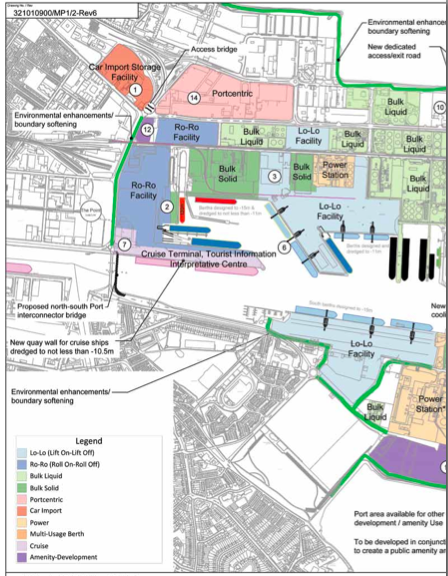 Dublin Port Company’s Chief Executive Eamonn O’Reilly Chartered Engineer will give a presentation on the new Dublin Port Masterplan 2012-2040. The presentation will be followed by a networking reception. Developing a 30 year Masterplan for Ireland’s largest port, Dublin Port’s Chief Executive Eamonn O’Reilly outlines the consultative process undertaken to integrate the many views from the broad range of the port’s stakeholders into the long term development plans of the country’s most important port. Eamonn will also discuss the key outcomes of the consultation process and how the company plans to deliver on the 30 year Masterplan. The speaker is Eamonn O’Reilly, Chartered Engineer – Chief Executive, Dublin Port Company. Eamonn O’Reilly joined Dublin Port Company in 2010 from Portroe Stevedores, where he was Chief Executive of the Dublin Port-based cargo handling business for five years. During that time, he was also Group Business Development Manager of Portroe’s parent company, Doyle Shipping Group. An electrical engineer by profession, he is a graduate of University College Dublin and holds an MBA from Trinity College Dublin.